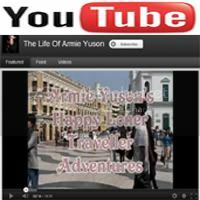 I, your Pambansang Manlalakbay Armie “Happy Loner Traveller” Yuson is thirsty for yet another unforgettable adventure, after my Tangadan Falls discovery in San Gabriel La Union, I became so addicted in discovering more places that have never been or was less featured on National Television, as well as on the Internet World. And so I have heard this Tale about Two Mythical Falls found in the virgin forest of Binukawan Bagac Bataan, fifty meters apart with thirty and sixty meters high. Yes! Two Falls found in one place for they are like sisters that is connected by one channel of continuous overflowing clear and pristine river that came all the way from the purest springs of the highest unchartered mountains of Bagac Bataan. You can even drink the water that is literally coming out from the rocks of the falls. But as you know, getting there is not easy. With what I have experienced, I can say that this is by far my most challenging adventure because my number one enemy here is the scorching heat of the sun. 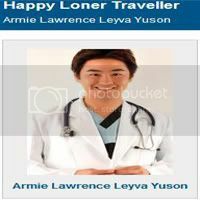 So like what Happy Loner Traveller is always saying, make sure that you are always prepared with all the basic things when you are planning for an adventure like this. Always rehydrate yourself, bring hats & long sleeves to protect yourself from the Sun and for the Ladies, you can bring your sunblock too. Also, wear rubber shoes, for the expected rugged terrain and long shorts or light pants for the sharp bushes. Bataeňos are on top of my list when it comes to the kindest and most hospitable people in the Philippines. The way they take care of you and make sure you are comfortable at their home is astounding, they would make you feel that you are a part of their family. Thank you so much to my Friend, Former Classmate & Co-Pharmacist Ms. Karen Calatrava for guiding me the directions in how to get to Binukawan and to Mr. Fernando “Andy” Panganiban for treating me as a part of his Family in my short stay in their Barangay, he welcomed me in his home and has guided me in the Maiden Outskirts of Binukawan Bagac Bataan. Bataan is the place to explore, as it is not much advertised by the media, you still can find its rich treasures such as its Virgin Beaches, Mountains and Forests. 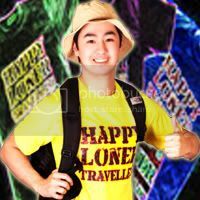 "Bataan Peninsula for me, is the Last Real Treasure of Philippine Nature…"